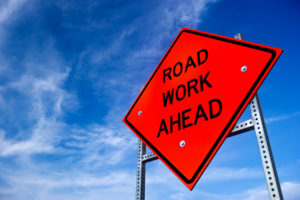 (Lindenwold, NJ) – Freeholder Susan Shin Angulo has been notified by the New Jersey Department of Transportation (NJDOT) that a new traffic pattern will begin tonight as the Route 42 Bridges over Timber Creek and Lower Landing Road bridge deck replacement project progresses. Beginning at 9 p.m. tonight, Monday, August 6 until 5 a.m. tomorrow, NJDOT will temporarily close lanes on Route 42 in both directions to position concrete barriers to create a work zone and a new traffic pattern utilizing a 4,400-foot cattle chute for the first of seven project stages. Traffic will be required to reduce speed from 55 mph to 45 mph in the work zone. During Stage 1, the left lane of Route 42 southbound will be shifted over a temporary median crossover onto the northbound side of Route 42 beginning just west of Route 41 until just past Lower Landing Road. Route 42 southbound motorists will enter into a one-lane cattle chute on what is now Route 42 northbound. The right two lanes of Route 42 southbound will be maintained on the southbound side. Three lanes of traffic will be maintained in each direction by temporarily shifting traffic and utilizing shoulders. Throughout the various stages, one lane at a time will be closed during construction and cattle chutes will be repositioned to establish a new work zone. Motorists should expect congestion during the construction project. The $9.6 million federally-funded project, which began in September 2017, will demolish and replace the two bridge deck spans and make repairs to the piers and abutments. Work on the temporary center median crossover began approximately six weeks ago in pre-Stage 1. There will be seven stages in this project. The bridge deck will be replaced one side at a time to reduce impact on motorists, starting on the southbound bridge. The estimated completion date is fall 2019.